Djukanovic says that Montenegro needs Euro-Atlantic integration. The Prime Minister said that Montenegro must comply with European standards. Perhaps its political processes should also be required to meet the democratic standards and rules adopted in Europe. However, the last parliamentary elections showed a clear discrepancy between the changes desired by Djukanovic and the real situation. There were more than 120 violations of the electoral law and voting secrecy at the polling stations on the day of voting. The NGO MANS submitted 75 requests for initiating criminal proceedings to the Special Prosecutor’s Office over violations of electoral legislation. 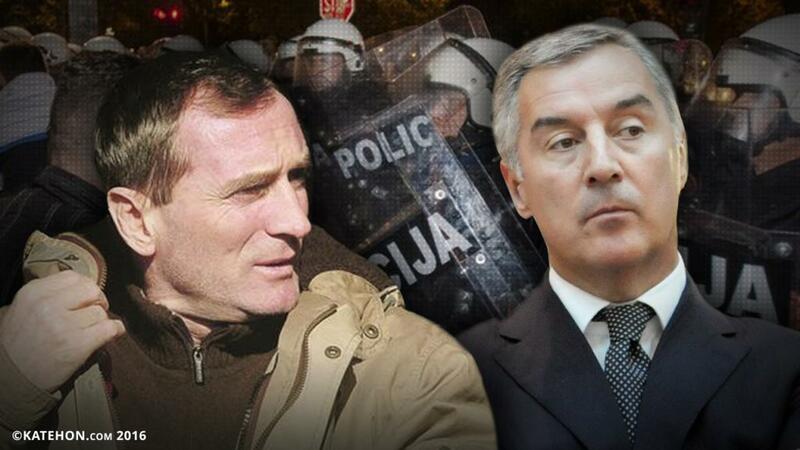 The most scandalous case was the arrest of 20 Serbs who were alleged to be preparing to seize state institutions of Montenegro and attacks the night after the election. The Prosecutor-General’s statement about the detention of a criminal gang was widely discussed in the local media and caused panic particularly among opposition supporters. A considerable decline in turnout was then recorded at the polling stations. According to unofficial information, out of fear of persecution and arrests by the authorities, many Montenegrins decided not to vote for the opposition parties, but for the Djukanovic’s DPS. However, despite the claims of Prime Minister Djukanovic and his subordinates about the existence of a “Serbian conspiracy”, there is no evidence of such. Moreover, according to available data, the preparation of the “coup” was done by a good friend of Milo Djukanovic named Radoitza Rajo Bozovic. No one doubts that this “conspiracy” was a well-planned operation of the Montenegrin Prime Minister to discredit the Montenegrin opposition and Serbia. Radoitza Rajo Bozovic is a former commander of the Red Berets special forces of the Ministry of Security of Yugoslavia whose hands are stained with blood. His name was mentioned in the ICTY courtroom (International Criminal Tribunal for the former Yugoslavia). Back in 1998, Bozovic, with a group of his co-workers, came to the leader of Montenegro, Milo Djukanovic, and became his mainstay and headed the special police of the country. After his dismissal, this “thug” was repeatedly detained by the police for various crimes, but thanks to the patronage of Milo Djukanovic, he consistently avoided punishment. It happened again this time when the Montenegrin Prime Minister used his ties to Bozovic for the organization of a “coup”. Bozovic wasn’t among the detainees. If Djukanovic really wants to carry out an investigation and find the culprits, why did he allow the organizer to remain free? Either Radoitza Rajo Bozovic must be detained and interrogated, or the answer is obvious – the whole case of a “revolution” is simply a farce. In addition, Montenegrins are forced to hide their political commitment to the opposition. Activists objectionable to Djukanovic’s regime are under strict ideological pressure from the authorities and law enforcement agencies. Montenegro has long been a police state where it is dangerous to tell the truth and where political changes in the management team do not improve the situation.